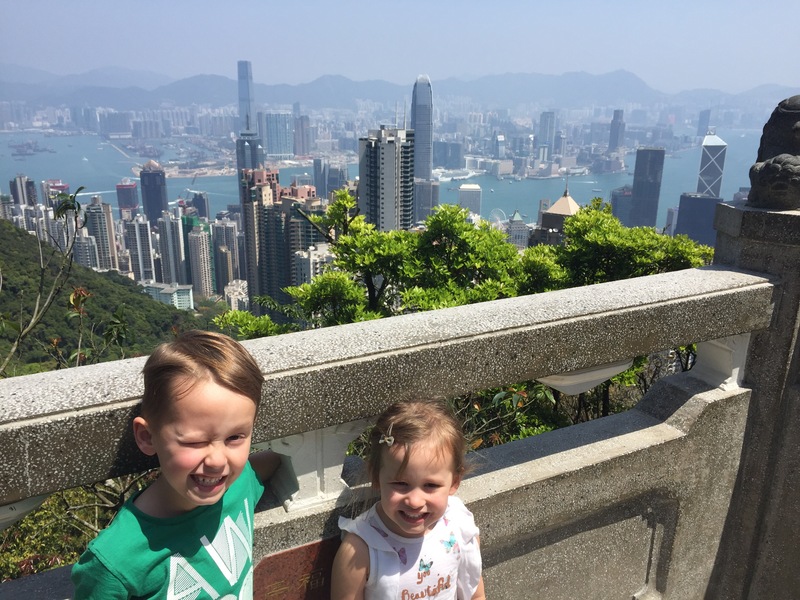 As one of Trip Advisors top ten things to do in Hong Kong (it ranks at number 3 currently), visiting Victoria Peak is a worthy addition to any family’s Hong Kong itinerary. 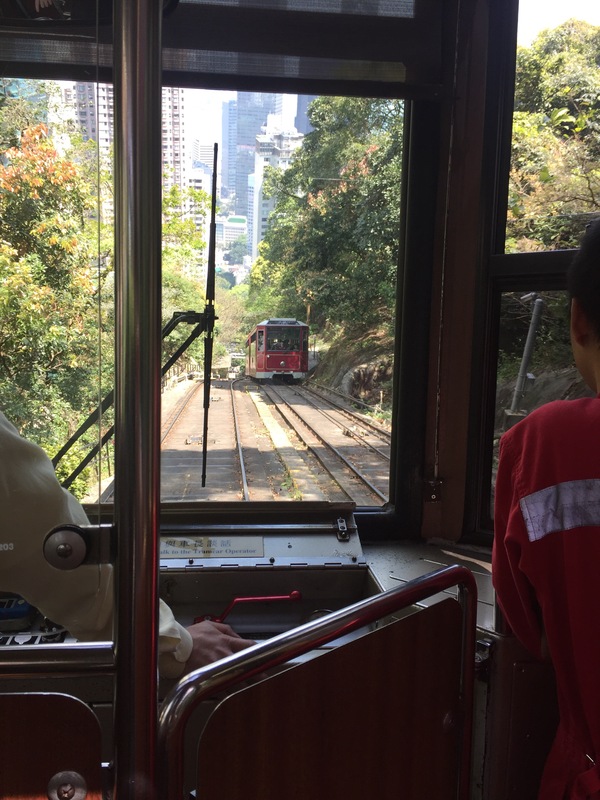 The famous Peak Tram, a funicular railway that ferries around 17,000 people per day to the top of the peak and that will be celebrating 130 years of service next year, is worth the trip alone. 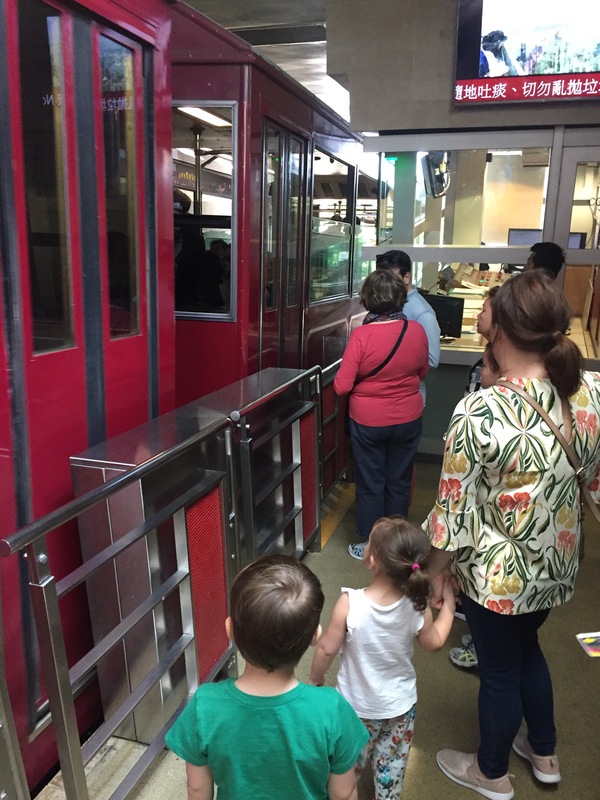 And if children and young adults appreciate the tram ride, everybody will appreciate the breathtaking views from the top. A tourist destination in it’s own right, The Peak is home to a mall, numerous restaurants and food courts and a courtyard featuring lots of inflatable attractions for younger children. Perhaps the main draw of the peak however is The Peak Tower; a 360 degree observation deck offering astounding views of Hong Kong from the urban beauty of Kowloon Bay to the greener south side of Hong Kong Island. Most sources on the internet seem to agree that to reach The Peak Tram lower terminus (where you buy your tickets and board the tram) the closest MTR station is Central, the final stop on the Tsuen Wan line. Always wanting to be different, however, we got off one stop earlier at Admiralty and this early departure has lots to recommend it. 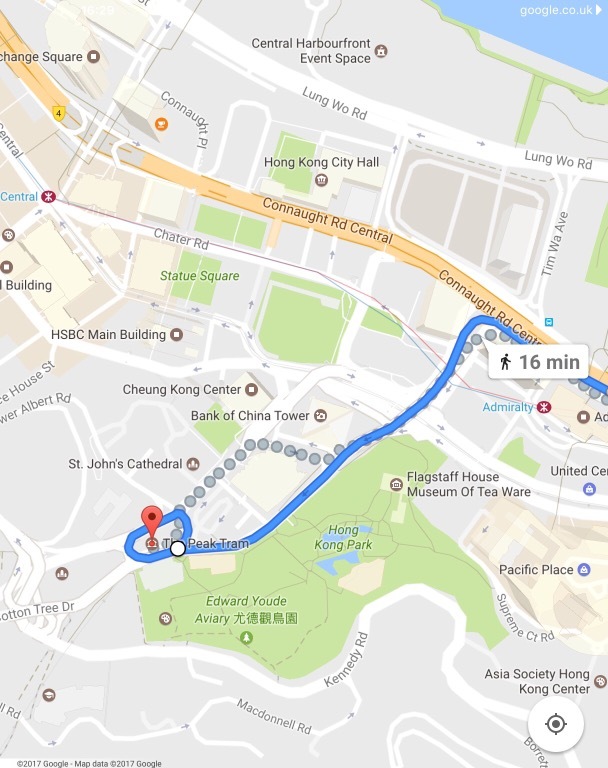 Looking at the map, Admirality and Central are about the same distance from the tram terminus although this route runs alongside Hong Kong park which can provide a happy distraction when travelling with children. Leaving Admirality MTR station and orienting yourself with Cotton Tree Drive, it’s a straight walk all the way to your final destination which is well signposted once you reach the park. 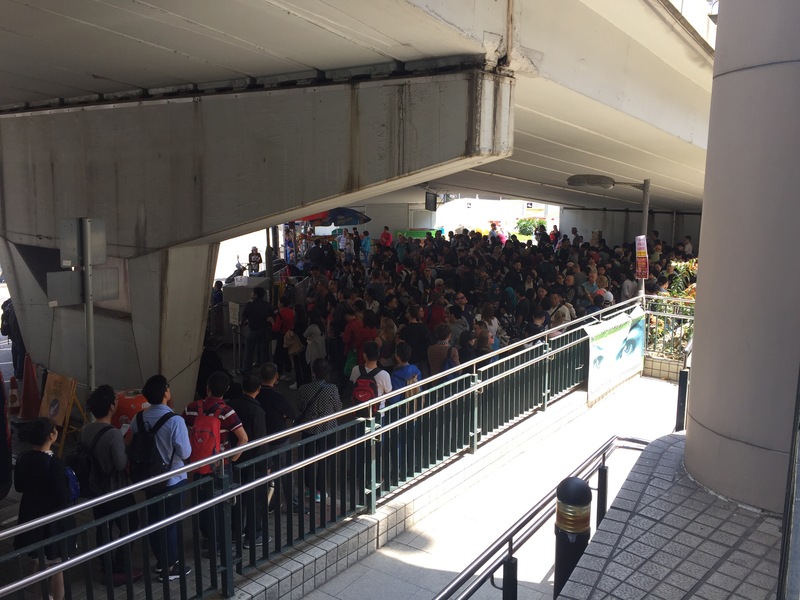 From our experience, the queue for the Peak Tram in the morning (we arrived around 10am) is horrendous. Following the line from the ticket office we passed a sign which said ‘Queue from this point:60minutes’ to another that said ’90 minutes’ and then past another and another until we were informed that joining the queue at the back promised a 3 hour wait. The Big Bus Tour Company was offering a ‘fast lane’ but only to those with tickets for the bus tour costing around HKD600 for adults and HKD500 for children. Up to date prices for the tram itself can be found here or at the bottom of this post. This then is my big tip for visiting the peak with children: go early but take a taxi to the peak. Hear me out though, you still get to ride the tram! Seeing the 3 hour queue, we headed for the taxi rank where a practical road train of taxis was busy whizzing people up to the The Peak Galleria Mall, which is next to The Peak Tower. There was no queue whatsoever, we were there in 15 minutes and the views on the drive up were spectacular! The cost of the trip was HKD40 for the four of us. Less than the price of 2 single tram tickets. The best part about this is that you reach the top before most of the other tourists who are still waiting to ride the tram at the bottom. Because of this, the tram station for return journeys, the one at the top of the Peak which takes people back down, is virtually empty when you’re ready to leave (provided you don’t spend hours up there). Put simply, huge queues at the bottom, no queues at the top! This is especially handy to know when travelling with younger children whose patience for queues only stretches so far! Aside from the tram journey itself, the star of the show at The Peak is clearly the stunning views of Hong Kong it offers. Depending on your budget and how ‘into views’ you are, there are several options when it comes to viewing platforms. The Peak Tower: Sky Terrace 428: The best option when it comes to 360 degree views, but also the one that costs the most. We opted out of this one having already tried the Peak Galleria observation deck and the Lions Pavilion Lookout. The Peak Galleria Observation Deck: Perched on top of The Peak Galleria mall, the observation deck can be found on the 3rd floor and offers some nice views of the resevoir and green area of southern Hong Kong Island. Views of Kowloon bay are not as clear as those offered by Sky Terrace 428. Lions Pavilion Lookout: A more traditional, Chinese style lookout hidden along a path between The Peak Tower and The Peak Galleria, just past the restaurants and people hawking traditional souvenirs. A lot smaller than the others but offering spectacular views of Kowloon Bay. This is where all of our skyline photographs were taken. For the return journey, there were 3 people in the queue in front of us at the ticket office (compare this with the thousands at ground level!). Prices were HKD96 for the 4 of us and we waited approximately 3 minutes from buying the tickets to boarding the tram. Everybody waiting managed to board to my knowledge and everybody got a seat. However, if we rode again I would try to secure seats to the drivers left for the return journey. Seats on the right guarantee that your view from the window will be stone walls and little else. 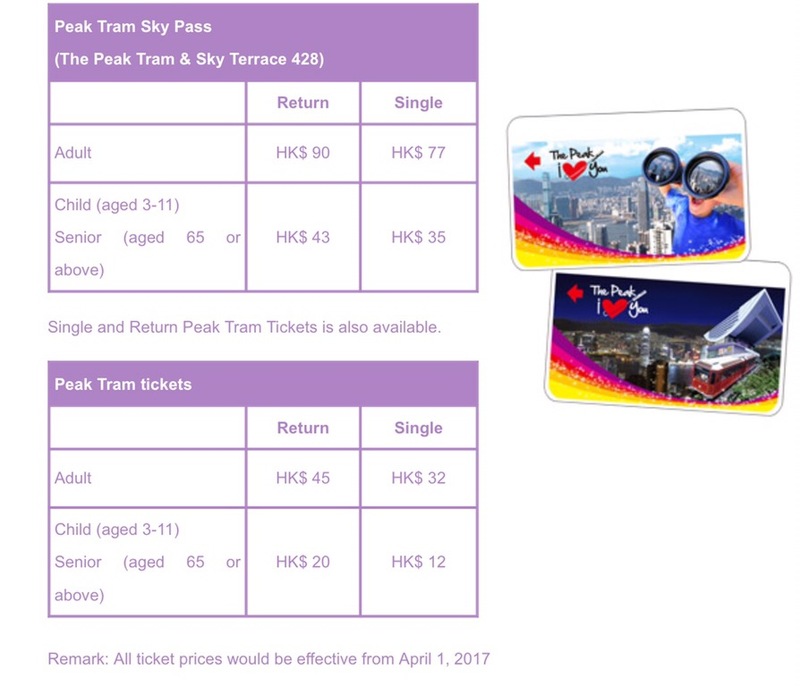 For more information on The Peak Tram or what is available at The Peak, check out the official website here.